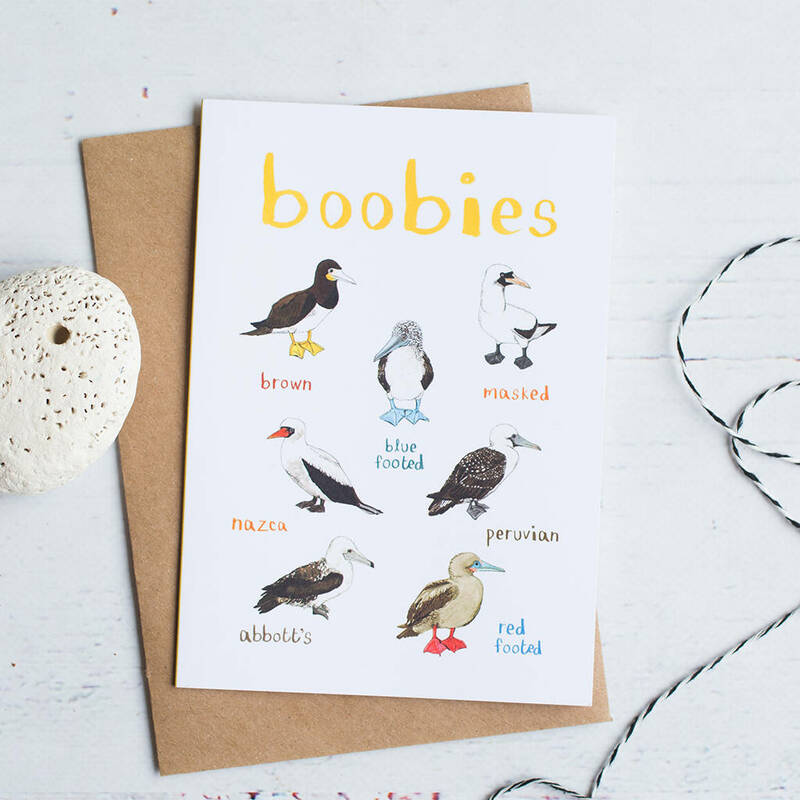 A cheeky and educational greetings card featuring hand drawn birds from the Booby family. Send it to bird enthusiasts, gardeners and everyone else who enjoys a good giggle. A popular card for Mums, sisters and best friends, the Boobies design is also perfect for birthdays, congratulations, thank you notes and hand written messages! Each bird is hand drawn and labelled with Sarah's signature typography. This colourful card is blank inside for your own message and printed with a vibrant yellow on the reverse. Includes kraft envelope / cellophane wrapped. Digitally printed on 325gsm uncoated card. This product is dispatched to you by Sarah Edmonds Illustration.